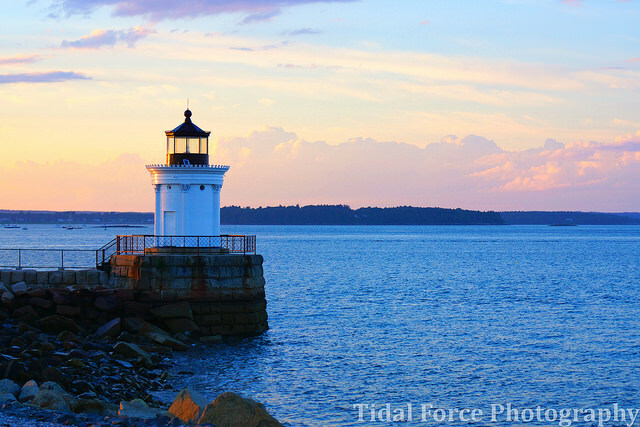 One of my favorite places to go for late afternoon, sunset colors is South Portland's Spring Point and Bug Light Park. Spring Point has a lengthy breakwater with a small sparkplug lighthouse marking the its end. With the islands of Casco Bay in the background, it's a beautiful spot anytime of day. Equally beautiful is the view at Bug Light.